Caption: More than 1,800 free consultations and 763 free mammograms have been undertaken by Zulekha Hospital as part of its Pink It Now breast cancer awareness campaign. 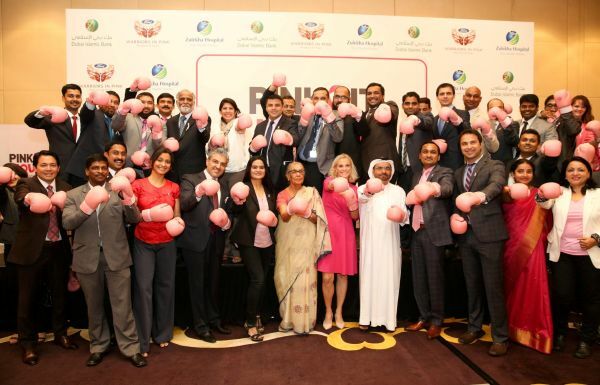 Developed exclusively by Zulekha Hospital, a pioneer in UAE healthcare, the Pink It Now initiative was supported by Ford Warriors in Pink, a Ford Motor Company breast cancer awareness initiative, and Dubai Islamic Bank. From 1 October until 31 December, both hospitals in Dubai and Sharjah offered women the opportunity to take advantage of free specialist consultations by Zulekha Hospital oncologists and surgeons as well as receive free mammograms. Zulekha Hospital in Sharjah carried out a total of 1,116 free consultations and 445 x-ray mammograms while the hospital in Dubai received a total of 703 women for free consultations and a total of 318 for mammograms, out of which 13 cases were diagnosed positive. The campaign forms part of a worldwide initiative to build awareness and educate women on breast cancer and the importance of regular check-ups and early detection. The campaign also aims to empower women to beat the disease. Dr. Pamela Munster, a professor at the Department of Medicine (Haematology/Oncology) and Director of Early Drug Development and Breast Cancer officially launched the new ‘Pink It Now’ campaign at the Conrad Hotel in October, alongside her colleague Dr. Hani Sbitany, Assistant Professor of Surgery Division of Plastic and Reconstructive Surgery from the University of California in San Francisco. The event, attended by eminent doctors, cancer campaigners and breast cancer survivors also highlighted the fact that breast cancer can affect women regardless of their age, ethnicity, genetics or reproductive history. Bentley officially launches products at the Vision-X exposition in Dubai.